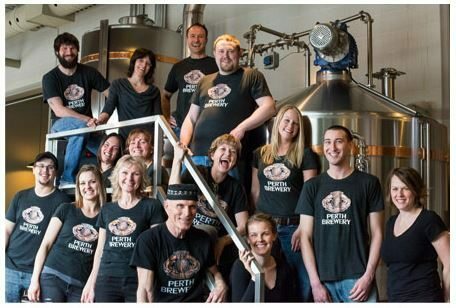 Home > Find Your Store > CA > ON > PERTH > PERTH BREWING CO.
Perth Brewery is a family run craft brewery. With our can’t miss location on hwy 7 in Perth, Ontario, we welcome you to stop in and tour our bright and inviting brewery, experience our tasting bar and visit our retail beer store. Our team is passionate about bringing a rich brewing tradition back to Perth and crafting beer and wine that the community can be proud to call their own. Stop by, see the fun and exciting things happening, taste and take away some great beer!